Here’s how open technology can play a part in changing that. This is a guest blog written by Hera Hussain who works at OpenCorporates and is the Founder of CHAYN & International Community Coordinator at Open Knowledge, Mor Rubinstein. In February 2015, FiveThirtyEight, an expert in data analytics, published an article about Women’s sports data. Unlike men’s sports data that is rich, and even has multiple sources, women’s sports is lacking. While we have vast data about men’s sports from performance to salaries, women’s sports lack this data and has to rely on few sources. When one of the only major data source on women sports stats collapsed the other month, it stuck processes for a whole women league – from strategy to media coverage. What has sports data got to do with corruption? It’s about challenging the status the quo. If the importance of collecting granular data for something as galvanising as sports is not given it’s due – then why would corruption be any different? For decades, women’s sports has been less funded and less popular from men’s sports. A BBC study into prize money showed that in 30% of all sports in the UK, men are still awarded more than women. Photo Credit: Neil Palmer (CIAT). A farmer in the Kibirichia area of Mount Kenya. Women’s economic empowerment and the impact of corruption on their agency is no different. The bias is clear in public spending and international aid initiatives. Grants for women`s programmes budget only accounts for 0.0046% and 0.002% of the total national budget in Argentina and in the Dominican Republic respectively . In OECD-DAC reviews, it was found that only 5 per cent of all aid was targeted towards gender equality as a principal objective in 2012–2013, and a mere 2 percent had women’s economic empowerment as a principle objective. A startling report by ONE calculated that one trillion dollars go missing every year from developing countries due to corruption, money laundering and illegal tax evasion. Loss in state funds due to corruption reduces government resources for social services and this burden is then passed on to citizens, hitting the poorest and marginalised in our society the worst. This turns out to be poor women often from marginalised communities. Women are at the forefront of rebuilding communities. When states fail to support citizens, women’s unpaid reproductive labour and household contributions steps in to fill the care gap for the elderly and future tax-paying citizens. Globally, women spend 2.5 times more of their time on unpaid care and domestic work than men and are paid 24 per cent less than men. This means women work more, get paid less and get taxed all the same. In developing regions, up to 95 per cent of women’s employment is informal, in jobs that are unprotected by labour laws and lack social protection. Girls collecting water in Tanzania. An example of the unpaid work that burdens women. This data is not enough. These are good indicators but we need to go beyond this to record women’s everyday experiences and fight for equality to begin to draft responsible policies. The question is – why don’t we collect detailed data about women already? It might be because of the demand side. Women are already prone to be less educated than men. 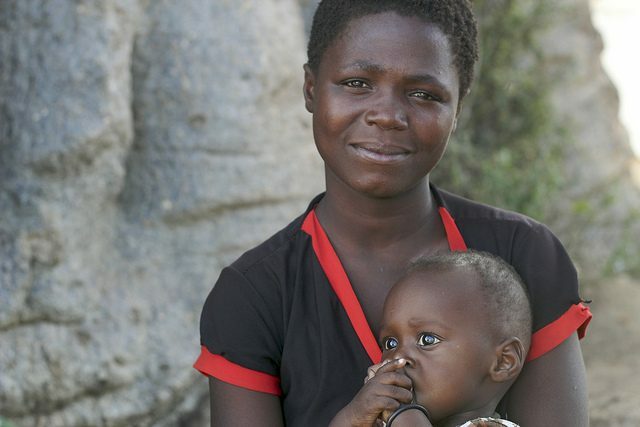 Sadly, globally, women are more likely to live in poverty than men. Women are paid less in wages, own less assets, while doing more work overall. Poverty and discrimination make women more vulnerable to violence. A report commissioned by UNDP on 8 developing countries in 2012 showed that corruption had a significant negative impact on women’s participation in the labour market (formal or informal), in getting their children admitted in schools, protesting physical abuse against family members, enlisting in government subsidised programmes and participating in elections. Most importantly, the study also highlighted types of corruption not previously included in the spectrum of corruption. Things like such as physical abuse and the request sexual favours for the exchange of due services. For a long time, violence against women, which underpins many societal interactions where gender and power dynamics are involved, wasn’t even considered by governments. It’s imperative we understand why we don’t collect data that could drive better policy-making, and ground activism. In many places in the world, women do not know how to get access to their basic rights. They have never acquire that knowledge, they didn’t have how to get it. You can’t demand something when you simply don’t know it exist or how to demand it. This is one of the reasons, open and free/subsidised access to internet is so important: to captures the stories of women’s experiences, for women to demand justice, to hold governments accountable. Data is a resource, that allows in turn to have more control and power. Whether it is accessing information about laws through online resources run by Chayn, or creating local all-women lobbying groups such as Gulabi gang in India to do stand-in, or by organising collective action towards local land offices in Uganda, marginalised women and civil society has devised mechanisms of bridging the information gap, and fighting corruption in the absence of help from state. Understanding corruption from the perspective of grassroots women and raising the visibility of their local strategies to address misuse of power are central to prevent and reduce corruption. We should understand and plan data collection on these groups without compromising their privacy, and we should we published in a machine readable and open license so other, women and men, can use it to solve these acute issues.